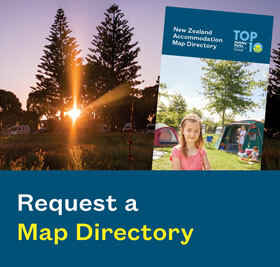 There are popular recreational reserves around Blue Lake TOP 10 Holiday Park Rotorua which provide excellent opportunities for bush walking, water skiing, canoeing, picnic areas, swimming, running, mountain biking, and trout fishing…. you name it! 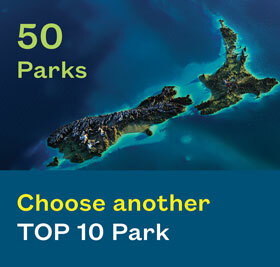 Mountain biking access to the forest is possible from Blue Lake TOP 10 Holiday Park Rotorua - your Rotorua holiday park accommodation. The forest offers endless trails for the novice to the experienced mountain biker. Trails link up with the renowned and purpose-built tracks which have made the forest a ‘mecca’ for mountain bikes. These tracks can also be accessed from the Waipa Mill Road off S.H. 5. For more information and details on tracks available, refer to the excellent Ride Rotorua website, designed with the bike rider in mind. Mountain bike hire is available directly from Blue Lake TOP 10 Holiday Park or alternatively from the following businesses. 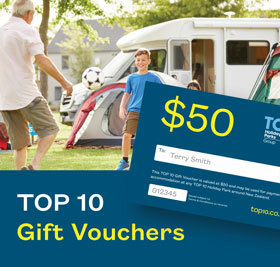 The Outdoorsman Outdoor Store on Tarawera Rd which offers Top 10 Club Card Holders 10% off mountain bike hire. Planet Bike can also arrange your mountain biking requirements if you do not have access to a bike while on holiday. They are normally located at the Waipa Mill - Mountain Bike Carpark during weekends. Bike hire is approx $35-$40 for half day hire. Blue Lake TOP 10 Holiday Park can also offer a lock up facility for guests who bring their mountain bikes. The beautiful Redwood Forest is also located within the Whakarewarewa Forest and offers superb forest walks set amongst majestic, mature Californian Redwood trees and a well stocked gift centre. More details can be found on their website. The reserve is located opposite Blue Lake TOP 10 Holiday Park Rotorua and is an ideal spot for families to enjoy the beautiful clear waters of the Blue Lake. The lake is very popular for water sports such as water skiing, jet skiing, rowing and power boat racing. The surrounding area has hosted multi-sports events including Xterra, The ‘She’ Triathlon event for women and Half Iron Man events. A walk around the lake through the mature Douglas Fir plantation is approximately 5km in length and takes around 1.5 hours. The south side of the lake also has good swimming beaches and a lookout between the Blue and Green Lakes. Lake Tikitapu is host to the annual Blue Lake Rowing Regatta which normally coincides with Wellington Anniversary Weekend (mid January). You’ll free-fall at 200km/h! Make sure you keep your eyes open – you can now see from the East to the West Coast; from White Island to Taranaki; the gorgeous Tongariro National Park and the clear waters of Lake Taupo. Conquer fears and discover new limits by launching into action at New Zealand’s ultimate adventure hub! Pick your adrenalin buzz from the dare defying Swoop hurtling through the air at 130kph, to feeling G-force’s akin to Formula One Racing with the Agrojet on a purpose built water course. Harness your inner superhero on the Southern Hemisphere’s only Freefall Xtreme flying on a giant wind column, leap over the edge on the 43m high bungy and race on a world first human powered monorail track in a Shweeb. River Rats Raft and Kayak are one of New Zealand’s most professional and well-known rafting companies. They have over 30 years experience in providing customers with quality adventures, and pride themselves on their safety-first culture and attention to detail. They offer rafting on the Kaituna (Grade 5) - Awesome with a 7 metre waterfall, Wairoa (Grade 5) - Wild (dates available on request), Rangitaiki (Grade 3-4) - Adventurous, fun & beautifully scenic, and on the Rangitaiki (Grade 2) - Scenic and great for families. Track. Ride with water or without water – the choice is yours! From amateurs to experts, across the country and around the globe all agree that with more than 130km of trails in the Whakarewarewa Forest, mountain biking in Rotorua is a must. We have mountain bikes available to hire from the park, with 1 hour, 3 hour and full day options. Talk to our friendly Reception staff about hire today!